Whilst Hereford is known as a passivhaus hot spot it does not have the same catchment as London. To compensate for this we push the boat out to make this an extra special course. As well as the unique chance to study in a passivhaus building, this year we have arranged additional site visits to a wide range of excellent projects. Previous participants have come from as far afield as Japan and Scotland. Book now and save £400 with our Early Bird Rate! Learn about the fundamentals, science, building services and construction methods needed to achieve Passivhaus. Also, learn to use PHPP software and take a revision session to prepare you for the exam. Superb Passivhaus Venue! 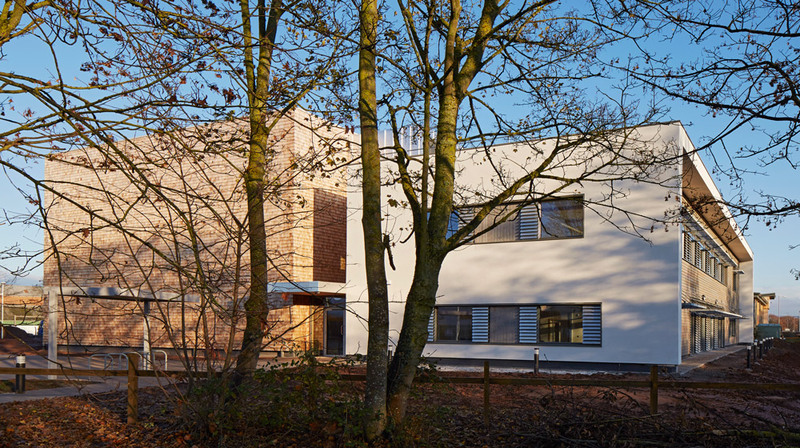 Take the course at the Herefordshire Archive and Records Centre which is the first building of its kind in the UK to be designed and built to the rigorous Passivhaus standard, and received Passivhaus certification in February 2016. Mon 4th Sept – Fundamentals of Passivhaus + Site Visit. Tue 5th Sept – Science of Passivhaus + Site Visit. Wed 6th Sept – Science of Passivhaus day 2 + Site Visit. Thu 7th Sept – Construction of Passivhaus. Mon 18th Sept – Building Services of Passivhaus + Site Visit. Tue 19th Sept – Building Services of Passivhaus day 2. Wed 20th Sept – PHPP with + Site Visit. Thu 21st Sept – PHPP day 2. Fri 22nd Sept – Revision Session. Take the Passivhaus Designer Examination to become a Certified Passivhaus Designer/Consultant. (including a tour of the Archive),with the opportunity to meet the occupants and designers. We will be going on tours to six exciting Passivhaus Projects. We have chosen an interesting mix of under-construction, nearly finished and completed buildings. Each visit will take place on a different evening†during the two weeks and we will end the visits at the local pub. Become a Certified Passivhaus Designer! Book the course by email training@peterwarm.co.uk or visit the AECB Training Pages or call us on 01752 542546. This entry was posted in post by Nick Grant. Bookmark the permalink.